What should you do if you break a tooth? Well, first you should contact your Dallas, TX, dentist! Addressing damage quickly helps prevent complications. In addition, we have a number of treatment options to offer natural looking repair, restoring your tooth to optimal function and beauty. Find out how we fix a tooth, and what you can do to limit future damage. Despite being the strongest substance in the human body, tooth enamel doesn’t always prevent a tooth from becoming chipped, broken, worn down, or cracked. When damage occurs, even if the damage appears minor, you should still let us know. Small fractures and chips could potentially expose the inner layers of dentin to bacteria, a process that enables tooth decay and dental infection to develop and impact the stability and health of your smile. 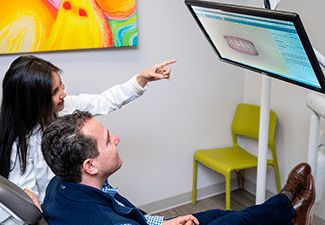 If you sustain an injury to your mouth and no damage appears, consider scheduling an appointment anyway, as dental fractures may be practically invisible to the naked eye. Dental bonding allows us to repair damage with a lifelike material known as composite resin. The same combination of glass and plastic we use to repair tooth decay, we can shade the material to match your tooth. We then apply the material and mold the tooth as the composite resin cures under a light. Finally, we polish the tooth. The entire procedure only takes one visit to complete and helps restore minor damage. With bonding, we can also mask teeth stains and address gaps between the teeth. We also offer contouring. 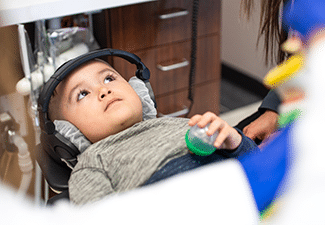 Instead of adding to the tooth, we gently buff the outer structure to reshape minor damage, smooth out grooves or pits in the tooth’s surface, or address pointed or malformed teeth. Both options take a single visit and offer esthetically-pleasing smile repair. For more substantial damage, we may suggest a cosmetic restoration. Veneers cover the front and sides of the teeth, lengthening worn down teeth and repairing minor damage. Crowns cover the entire visible portion of your tooth, addressing everything from chips and breakage to serious fractures. Both can be created using porcelain, a strong and lifelike material that contains stain-resistant properties. 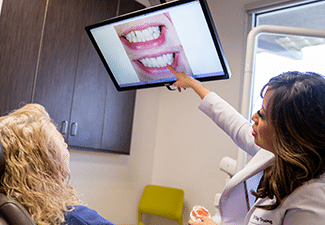 Placement may take two visits, or can be completed in a single visit using advanced CAD/CAM technology. 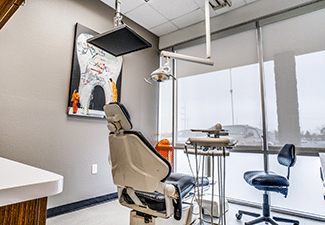 If you have any questions about addressing damaged teeth or about our cosmetic dental procedure, then contact our team today. 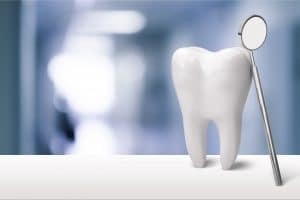 If you have a chipped or cracked tooth, then let our team know right away. 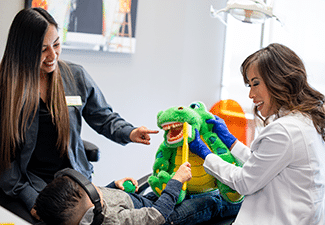 For more information on our lifelike cosmetic and restorative treatment options, schedule a consultation by calling the Viva Dental Family Dentistry office nearest you at (214) 337-7800 (Dallas) or (972) 437-6000 (Richardson).